The players and their parents have placed you in a position of leadership, and you have a responsibility to give them your best effort. Additionally, this football experience will play a significant factor in determining whether the players continue participating in football. If you follow the coaching guidelines and general principles below, you should have a great season! Whether you are an experienced coach or a novice taking the reins of your first team, your main goal should be to create a fun and safe learning environment for your players. Many of the skills your players will practice and play with are just like those of their NFL heroes. Feel free to emphasize this connection to the real-life game! Don't let your practices dissolve into a giant pile of rambunctious kids. For both their safety and your sanity, make sure to discourage any tackling or roughness early on. Remind them that they won't help their team in a game by tackling or being rough. Help your players be good sports. After a game, shake hands or high-five the other team. Applaud good play by both sides. Treat officials with respect. While imitating you, your team won't even recognize the good lesson they’re learning. The temptation to be another Don Shula or Bill Walsh will have to wait. This is NFL FLAG. While teaching football skills and strategies is important, keep your lessons as simple as possible. As your team grasps the basics, move on to more advanced ideas. Overloading young players with too much information too early can cause confusion for them and headaches for you. We thank you for your volunteer service. NFL FLAG couldn't happen without you. Have a blast with these kids. This season may become a lifetime memory for both you and all your team. Have fun! A coach should be enthusiastic without being intimidating. They should be sensitive to the children's feelings and genuinely enjoy spending time with them. A coach should be dedicated to serving children and understand that football provides physical and emotional growth for its participants. Remember, NFL FLAG is for the children. 1. A coach needs to realize that they are a teacher, not a drill sergeant. They should help children learn and work to improve their skills. Personal gains are never a consideration. The job does not depend on winning. The best interest of the child transforms into the best interests of the game. 2. The safety and welfare of the children never can be compromised. A coach will consider these factors above all others. 3. Be patient. Don't push children beyond limits in regards to practice. Children have many daily pressures – the football experience should not be one of them. Playing football should be fun. 4. Care more about the players as people than as athletes. The youth football program is a means to an end, not an end in itself. 5. A coach should encourage players to dream and set lofty goals. It is important to remain positive and refrain from discouraging remarks. Negative comments are remembered far more often than positive affirmations. 6. Remember that the rules of the game are designed to protect the participants, as well as to set a standard for competition. 7. Never circumvent or take advantage of the rules by teaching deliberate misconduct. 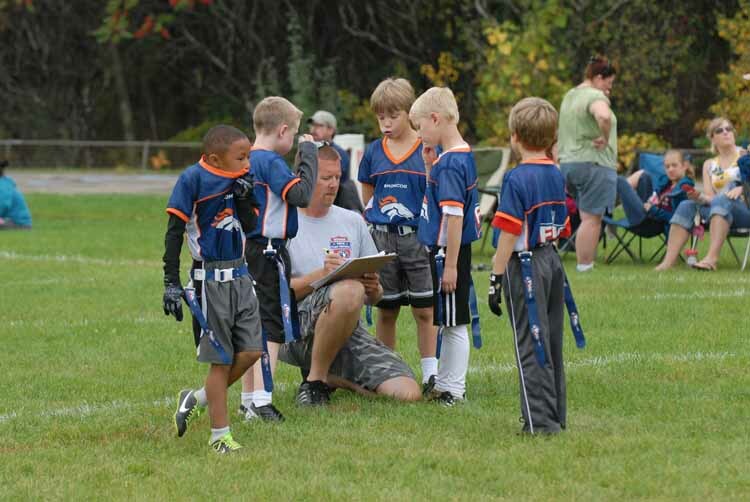 A coach who puts his or her opponents' team at risk should not be involved with children. 8. Be the first person to demonstrate good sportsmanship. Take a low profile during the game and allow the kids to be the center of attention. 9. Parents and players place a lot of trust and confidence in the coach. 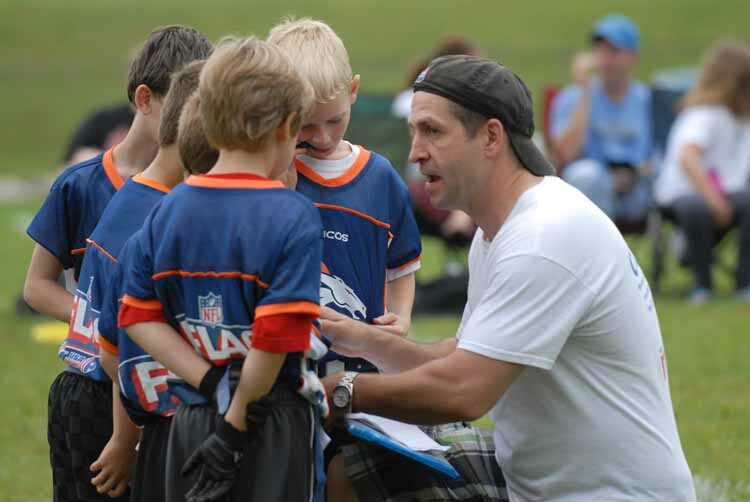 The coach has an important role in molding the athletic experience of the child. 10. A coach can measure success by the respect he gets from his or her players, regardless of victories or defeats. Children who mature socially and physically while participating in sports are the best indication of good coaching.